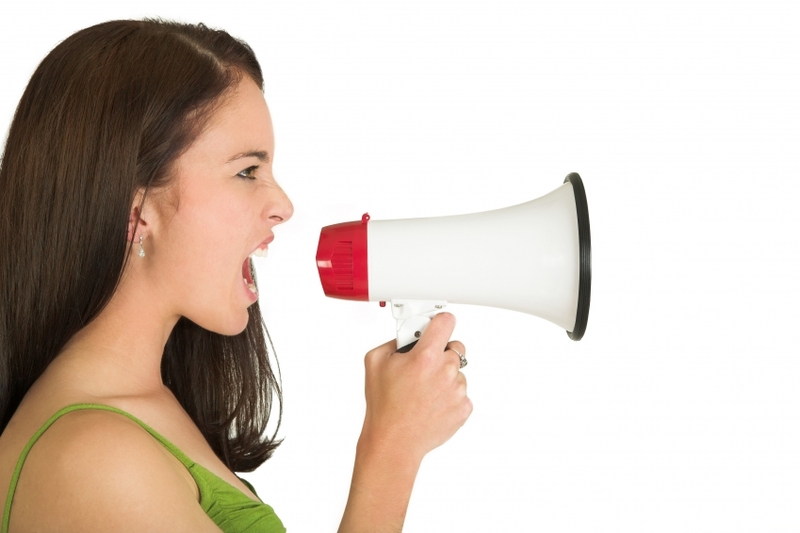 Who Speaks Louder: Marketing or Customer Service? « Customers Rock! This entry was posted on July 15, 2008 at 7:58 am	and is filed under Customer experience, Customer service, Customer strategy, Marketing. Tagged: communication, Customer experience, Customer service, Marketing. You can follow any responses to this entry through the RSS 2.0 feed. You can leave a response, or trackback from your own site. In any case, your questions are valid. In every situation there, you will find answers in the book What to Say to a Porcupine? Grab a copy if you can. I believe that many times, customer service speaks louder than Marketing. (And this is coming from a Marketing professional!) When I think back on some of my recent interactions with a major Midwest-based retailer, all of my impressions are of the employees and the customer service that I received, not of the multi-million dollar advertising campaigns that are thrown our way. I think of a few weeks ago, when as my purchase was being rung up by the checker, she yelled over my head at her manager “I think it’s time for me to go on break now! John is back, and if you don’t let me take my lunch right now, I’m going to pass out and hit my head here, and [company name] is going to have to pay for my medical bills!” No joke… she didn’t even finish with our purchase before she yelled this over our heads. That’s my lasting impression of the store, not the quality and savings that I may have received from the items that I purchased. What you say, and how you say it, makes a lasting impression on customers — from Marketing, to customer service, to accounting, every word and action counts. It goes beyond marketing and customer service to every employee who shares anything about work with anybody. That is why companies that ignore treating employees with respect and dignity and fail to train and communicate daily are hurting themselves, their bottom and top lines and their brand image. Excellent observation and post. In a B2C (business to consumer, or mass consumer) companies interactions with customers happen in over 80% of the times through customer service. Funny thing that happened when we moved to a service economy, service became the most important part of an organization (sorry marketing). If most of your customer interactions happen through service, that is where you efforts and resources should be. Marketing does a good job, but the reach as far as customer exposure is limited. if they work together with service, they just quadrupled their exposure. Even though it is not being done in most organizations, marketing and service should work together – marketing leads in message, service leads in interaction management. KermitFan, great to see you here (been awhile)! Interesting observations on customer service. I think the impressions we have of a brand, based on each interaction, all add up to a total brand experience. As you pointed out, this can be good or bad depending, often, on what kind of customer service we get. Thanks! Lewis, if customers are the foundation of a company, employees are its lifeblood. These examples cited were most likely not from companies that are valuing employee contributions. It all has to work together. Thanks for the insight! Esteban, I think this is important also for business to business companies. When I used to work at HP in the B2B side, we made a point of creating joint goals between marketing and customer service. This helped bring everyone together so that all interactions, whether from billing, customer service, tech support, or marketing, are consistent and supportive of the brand experience. Thanks for your “two more cents”! Awesome, awesome post. I am constantly amazed at the number of establishments without a clear services marketing plan. In light of the way so many companies are becoming commoditized (restaurants, grocery stores, home improvement stores, electronics stores, etc., etc., etc. ), service provision becomes the only way companies can differentiate. HR and Marketing need to be working together with every new hire, not only to bring on capable employees, but to bring on employees who will actually contribute to and increase the value of the company’s brand. I think that strong internal marketing can benefit any company of any size with any client-type. This will enable you to observe the game moves and which hints persons do.